First published in 1975 as the third edition of a 1957 original, this book presents the fundamental ideas of fluid flow, viscosity, heat conduction, diffusion, the energy and momentum principles, and the method of dimensional analysis. These ideas are subsequently developed in terms of their important practical applications, such as flow in pipes and channels, pumps, compressors and heat exchangers. Later chapters deal with the equation of fluid motion, turbulence and the general equations of forced convection. The final section discusses special problems in process engineering, including compressible flow in pipes, solid particles in fluid flow, flow through packed beds, condensation and evaporation. 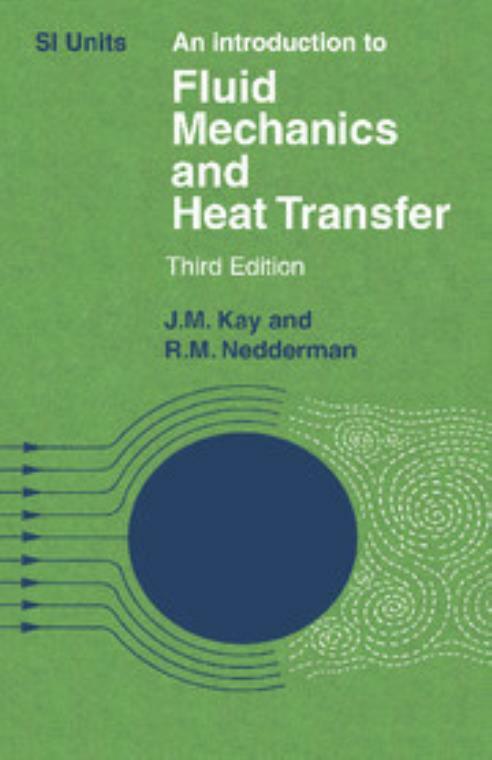 This book will be of value to anyone with an interest the wider applications of fluid mechanics and heat transfer. 7. Conversion factors; Examples; Outlines solutions; Index.